Directions: From Rte 495 north, take exit 50. At end of ramp go straight across Broadway onto Monument St., then go straight through 4-way stop. Haverhill High School is on the right. From Rte 495 south, take exit 50. At end of ramp take a left onto Broadway, then take next left onto Monument St., then go straight through 4-way stop. Haverhill High School is on the right. 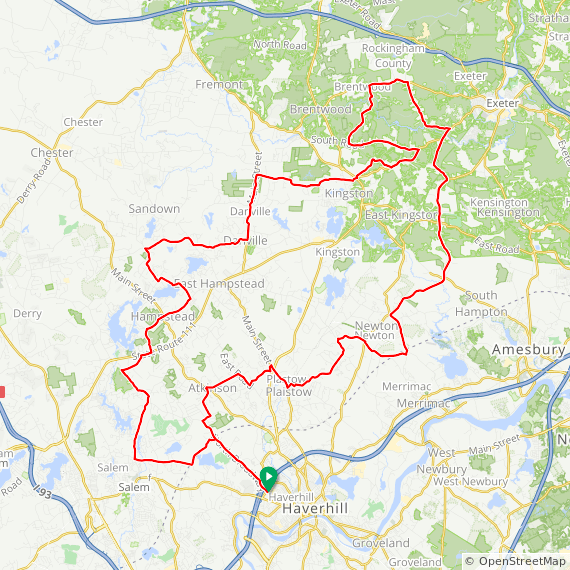 Description: A classic NSC ride touring scenic Rockingham County NH. Quiet roads, rolling terrain and moderately hilly . Ride arrow is a white number 1.